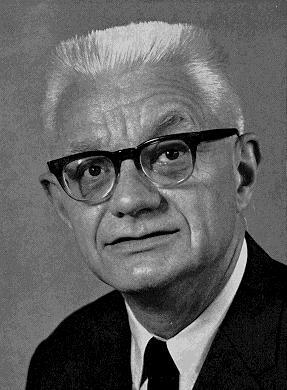 Carl Gustav Hempel (1905-1997) was a member of the Philosophy Department at Princeton University 1955-73. Born in Oranienburg, Germany, near Berlin, Hempel's honors included election to the American Academy of Arts and Sciences, the British Academy (as Corresponding Fellow), the American Philosophical Society, Italy's National Academy of the Lincei, the Presidency of the Eastern Division of the American Philosophical Association; numerous grants, editorships, fellowships; and ten honorary degrees, including one from Princeton in 1979. A central figure in the development of logical empiricism, Hempel lived in "interesting" times, times that drove him out of his native Germany, first to Belgium and then to the United States. He studied mathematics, physics, and philosophy at the universities of Goettingen, Heidelberg, Berlin, and Vienna, receiving his doctorate in Berlin in 1934, just a week before Hitler assumed the mantle of Fuehrer-Reichskanzeler. He had written most of his dissertation (on the logical analysis of the concept of probability) under the supervision of Hans Reichenbach when Reichenbach was abruptly dismissed from his Berlin chair in 1933. (Hitler had just become Chancellor.) The unsolvable problem of finding competent referees was sidestepped when Wolfgang Köhler and Nicolai Hartmann agreed to serve nominally, in Reichenbach's place. By then, Hempel and his wife, Eva Ahrends, had moved to Brussels, where his friend and collaborator Paul Oppenheim had made it possible for them to support themselves. The America of the 1930's and 1940's regarded the members of the Vienna Circle and their intellectual offspring with considerable suspicion, and was slow to embrace them into the ranks of faculty. After all, didn't they declare religious and ethical discourse to be "Cognitively meaningless?" What kind of persons could they be? What if they persuaded our students of this? For this reason, Hempel's subsequent rise through the ranks was rather slower than one might have expected. It began in August 1937, when the couple moved to Chicago, where Rudolf Carnap had obtained Rockefeller research fellowships for Hempel and his friend and collaborator Olaf Helmer. In 1939-40 he taught summer and evening courses at City College, New York, before being appointed Instructor, and then Assistant Professor, at Queens College, New York, where he remained until 1948, when he joined Yale's Philosophy Department as Associate Professor of Philosophy. It was in this period that Eva Ahrends died, shortly after giving birth to their only child, Peter Andrew, and that, two years later, Carl married Diane Perlow. Hempel remained at Yale until 1955, when, after a semester's visit, he accepted Princeton's invitation to join the Philosophy department as Stuart Professor of Philosophy, a post he held until mandatory retirement at age 68 in 1973. For the next two years he continued to teach at Princeton as a Lecturer, before moving to the University of Pittsburgh as University Professor of Philosophy in 1977. Upon his retirement from Pittsburgh in 1985 he returned to Princeton, where he continued his philosophical work for another decade. Although himself of unexceptionable "Aryan" stock, Hempel exhibited an insensitivity to such matters of a sort that constituted an offense in Nazi Germany -- so called "Philosemitism" -- an offense against which his father and other well-wishers had warned him more than once. Indeed, his wife Diane is Jewish; and his first wife, Eva, had inherited "Jewish blood" from her father -- as had his teacher, Reichenbach, from his. That is what made Germany uninhabitable in 1934 for him as for them, and made him slow to revisit the place after the war. As a university student he had been preparing himself to teach mathematics in high school after receiving the doctorate. He thought he would have enjoyed that life. At Princeton he chose to teach introductory courses -- Introduction to Logic and Introduction to the Philosophy of Science, year after year, with an uncanny renewal of freshness that amazed and inspired those who had the privilege of assisting him. His graduate seminars, in which he brought novices to the point at which they could make their own contributions, were models of what such courses could be. His example created an environment in which beginning and advanced students could thrive, and in which everyone learned from everyone else. What lay behind his preference for the introductory was not a logical empiricist's sense that more advanced students of vernacular philosophy would have been better off had they known less, but a kind of love or reverence or care for naïve minds -- a sense, as he once put it, that they are the salt of the earth. A Freshman Seminar would have been his dream. Hempel served as Director of Graduate Studies for decades. In his quiet way, he guided Princeton's Graduate Program in Philosophy, gradually transforming it into the Program that would to be ranked First in the first Cartter Report, and which has maintained its high standing among graduate programs in philosophy ever since. With Thomas S. Kuhn and Charles C. Gillispie, he shared in the glory years of Princeton's Program in the History and Philosophy of Science, culminating in a course in which undergraduates were treated to the extraordinary experience of an introduction to the philosophy of science in which C. G. Hempel and T. S. Kuhn shared the lectures and precepts. Hempel was notably playful, and incapable of stuffiness or cant. Nor was there any arrogance in him; he got no thrill of pleasure from proving people wrong. His criticisms were always courteous, never triumphant. This was deeply rooted in his character. He welcomed opportunities for kindness, generosity, courtesy; and he gave his whole mind to such projects spontaneously, so that effort disappeared into zest. Some have marveled at his willingness to change his mind. Such philosophical lightness seems incompatible with the meticulous attention to the details of argument and definition for which he is famous: the paradoxes of confirmation, the critique of the logical positivist conception of empirical meaningfulness, the analysis of explanation, etc., etc.. But the lightness was lack of nostalgia for bits of doctrinal baggage with their familiar stickers. He had no interest in ownership of such pieces; he really did just want to know the truth, and when a decade or two of close thought and argument persuaded him that some piece was empty, he would shove it overboard with zest. He was rooted in truth no less than in kindness. In 1989 the Department of Philosophy at Princeton University renamed its Three Lecture Series the 'Carl G. Hempel Lectures' in his honor.